Remember how much I loved the Iron Fey series by Julie Kagawa? Sure you do. It’s the source of the Hot Boy With Sword tag on other posts. While Meghan Chase’s journey ended with The Iron Queen. And Prince Ash’s story with The Iron Knight. There’s a new story to tell, that of Meghan’s half-brother Ethan. He’s grown up and now entangled in fey problems. 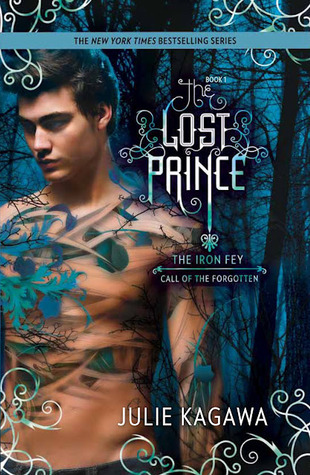 The first book in Ethan’s series The Iron Fey: Call of the Forgotten releases today, and now’s your chance to win it. Don’t look at Them. Never let Them know you can see Them. That is Ethan Chase’s unbreakable rule. Until the fey he avoids at all costs—including his reputation—begin to disappear, and Ethan is attacked. Now he must change the rules to protect his family. To save a girl he never thought he’d dare to fall for. I have two copies of The Lost Prince for VBC readers. Simply fill out the Rafflecopter form below for your chance to win. Contest is open to U.S. residents only (no P.O. boxes) and you must enter on or before Oct. 30. Great series…thanks for the giveaway chance!